An album of this class and content should certainly see Q5 reaping the benefits of this release. 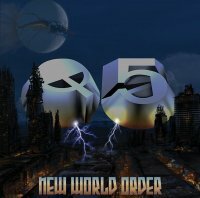 'New World Order' is the knock-on effect of what was due to be a "one-off" appearance by Seattle's Q5 at the Sweden Rock Festival in 2014. Such was the response to their return that a fresh new line-up was formed, now minus Floyd D. Rose (yes the locking tremolo inventor!) but still with a classic twin guitar sound courtesy of Rick Pierce and Dennis Turner, Jeffrey McCormack on drums, Evan Sheeley on bass and vocalist Jonathan Scott K.
This album is perhaps what should have followed their highly acclaimed 'Steel The Light' debut, instead of the synth heavy 'When The Mirror Cracks'. 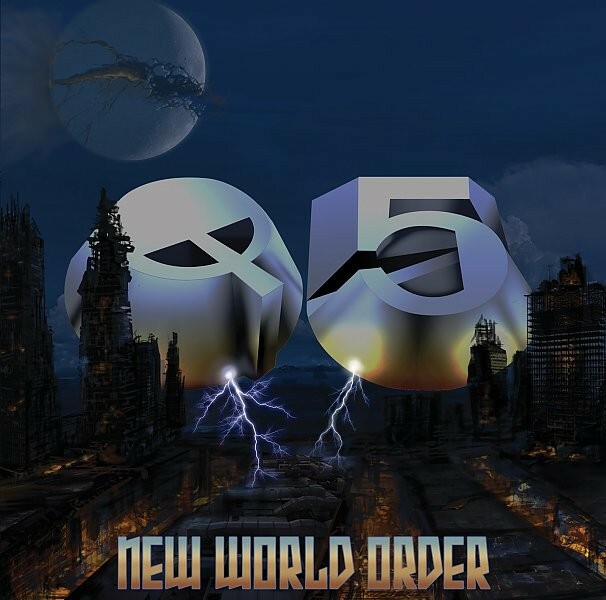 Newcomers to Q5 could easily be led to believe that this is some multi-talented "super-group" formed from many big name bands, such is the quality of the song-writing and performance exhibited here, but in fact although the line-up consists of several Fifth Angel & TKO members, none are household names, so the songs are a testament to their musical prowess & great final production. 'We Came Here To Rock' and 'Just One Kiss' are stand out tracks and have all the hallmarks of the best Rock/Metal originating in the eighties – twin guitars laden with whammy bar acrobatics & hammer-ons, chorused chants and catchy lyrics all reside here. Many of the tracks have strong audio ties to some of the NWOBHM masters – 'Halfway To Hell' has the raw power and menace of Judas Priest whilst 'A Warrior's Song' has elements of early Iron Maiden. But the most striking is Scott K's vocal tone & delivery; on 'One Night In Hellas' and 'Tear Up The Night' which is akin to Saxon's Biff Byford. Sitting slightly out of place to their surrounding songs are 'A Prisoner Of Mind', a much slower and darker outing, and 'Unrequited (A Woman Of Darkness And Steel)' which doesn't seem to go anywhere. However, the rest of the album more than makes up for these minor blips. Lyrical hooks delivered with power and style, chugging riffs and stratospheric guitar solos drenched in wah-wah and harmonic bliss are all here to caress the listener. An album of this class and content should certainly see Q5 reaping the benefits of this release and may well stand the test of time just like '...Light'. Let's hope it's not another thirty years before the next one!